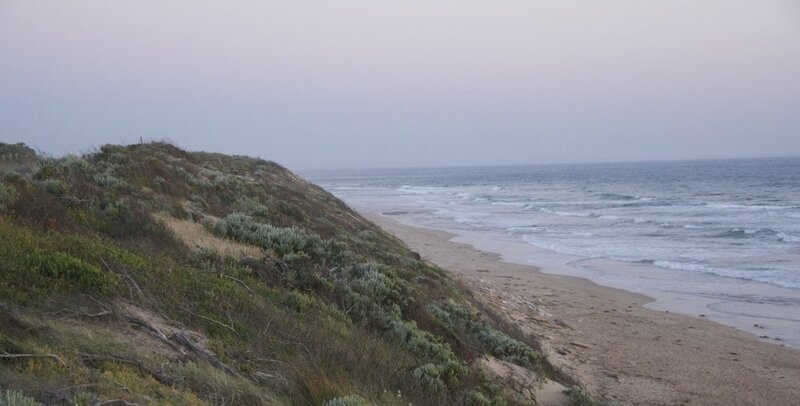 Nestled within swaths of Moonah and tea tree is a new home for a professional couple seeking a seaside retreat in the coastal town of Barwon Heads. 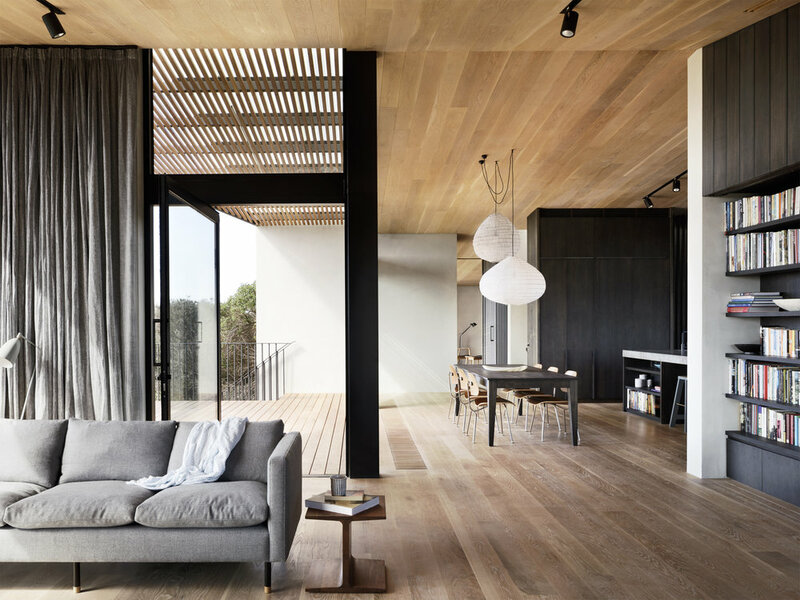 The house replaces a former dilapidated cedar cabin and serves as the couple’s primary residence and a holiday home for their three grown children who frequently visit. The form, orientation and materials of the dwelling respond to the extreme coastal conditions that define the site. 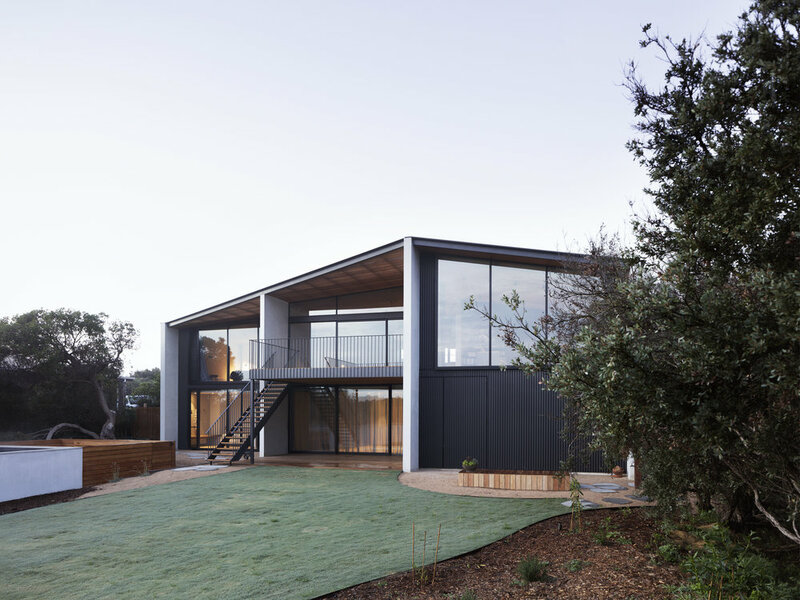 Located within close proximity to Bass Strait and the mouth of the Barwon River, the building staggers diagonally across the site providing protection from prevailing south-west weather patterns. 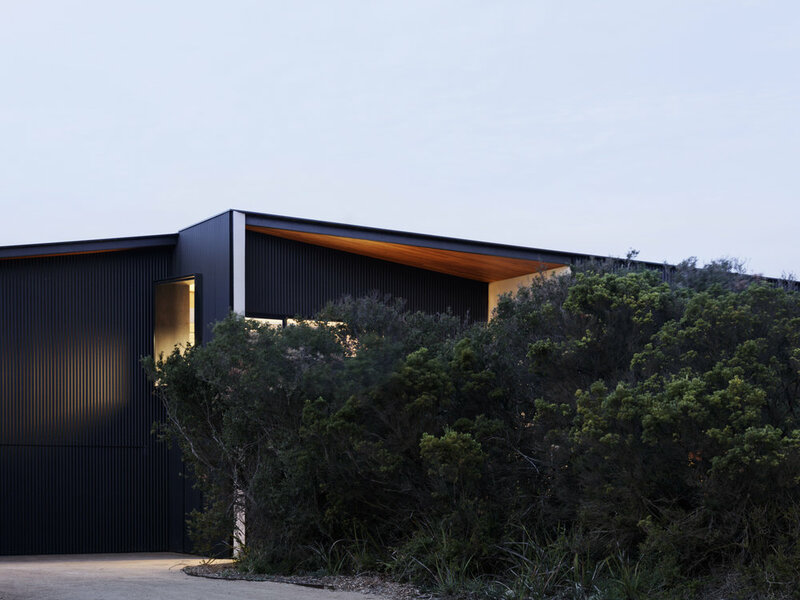 Dark grey corrugated iron encases the building and provides a backdrop to verdant Moonah, Boobialla and dune scrub. 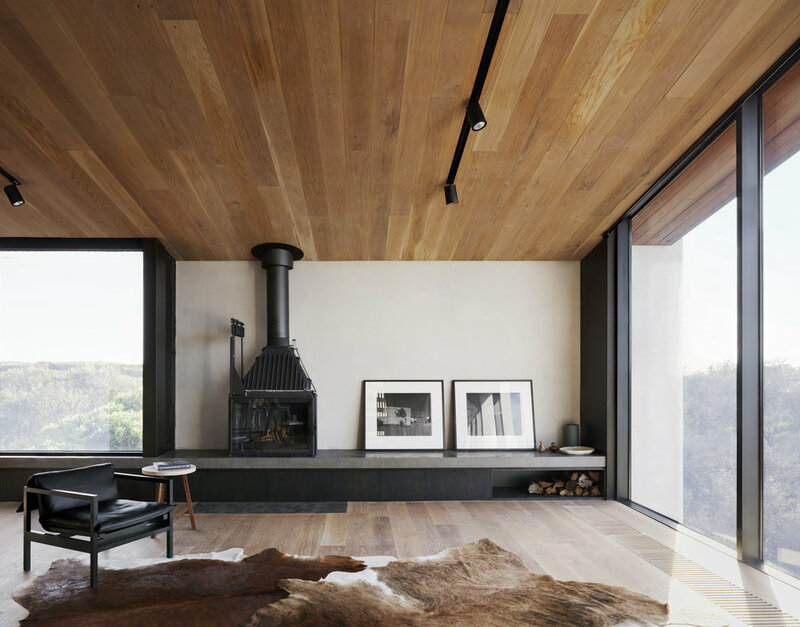 The robust material echos an Australian vernacular and reflects the workman-like quality of the exterior. 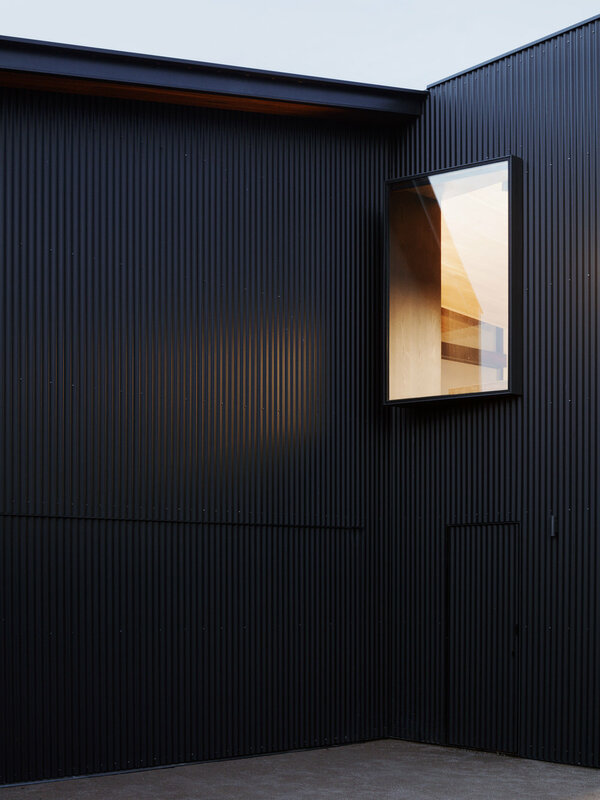 Upon entry, the austere external treatment gives way to the warmth and tactility of timber. 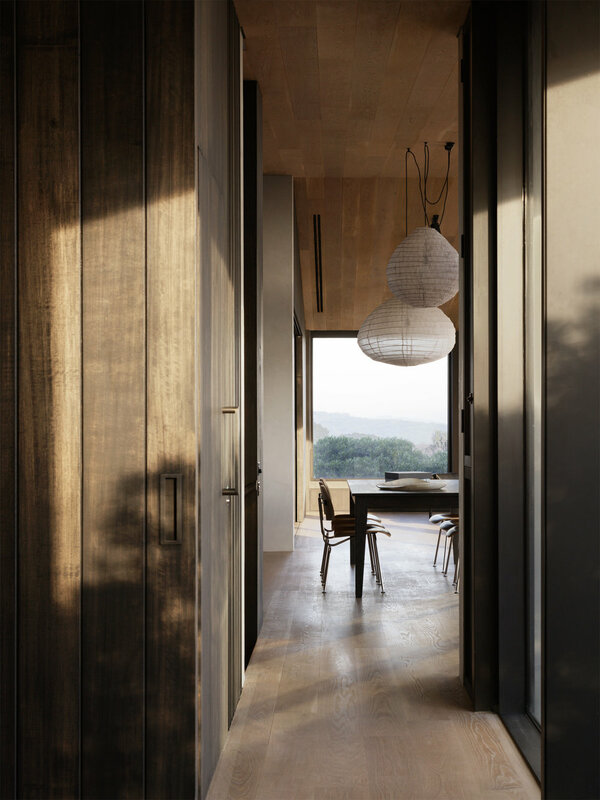 Light stained timber is used on floors and ceilings to accentuate the horizontal quality of the site; whereas dark stain is applied to vertical surfaces to provide depth and comparison to the external view. In contrast with timber elements, light grey satin render has been applied to blockwork walls to allow light to bounce deeper into the space. These walls run north to south stabilising the internal environment while also dividing the floor plate into thirds. Apertures have been carefully considered and seek to capture views and frame moments. 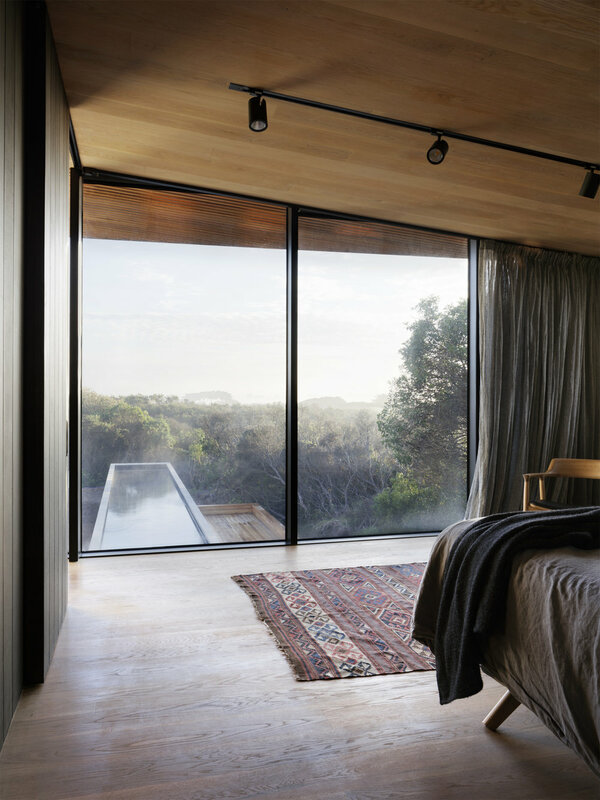 The outlook towards the sand dunes to south and south-west is afforded by windows that are either puncture or are carved out of the peripheral skin. The home is spatially organised with living spaces to the north and services to the south. The ground floor accommodates the bedrooms for the couple’s children as well as a generous bathroom and rumpus area. Upstairs unfolds as a celebration of communal spaces with the kitchen, dining and living areas. 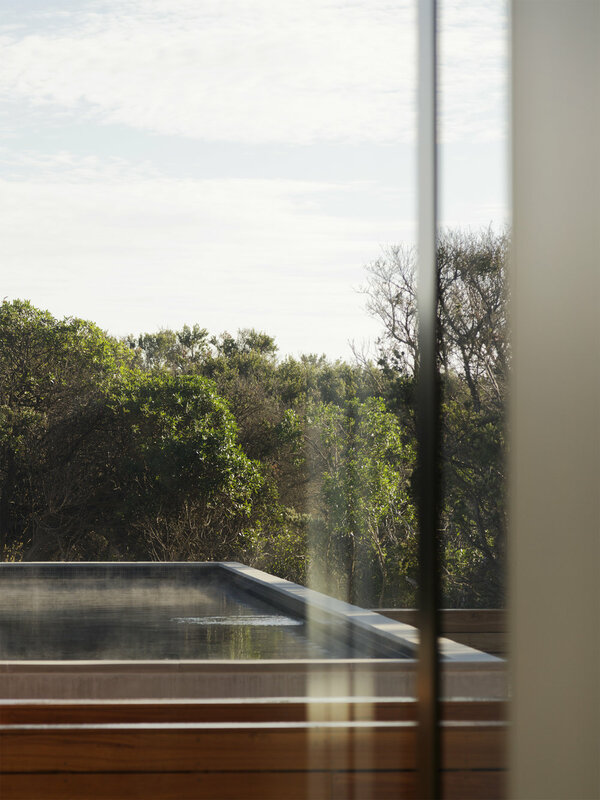 Adjacent is the master bedroom which enjoys a wonderful aspect of water, trees and sky. 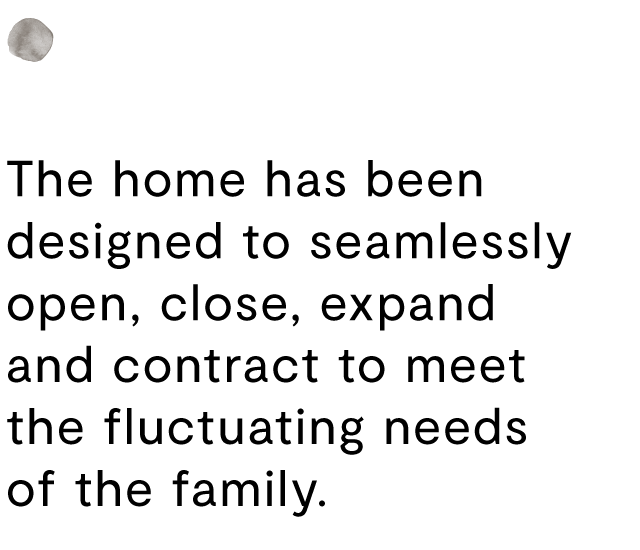 Highly adaptable, the home has been designed to seamlessly open, close, expand and contract to meet the fluctuating needs of the family. 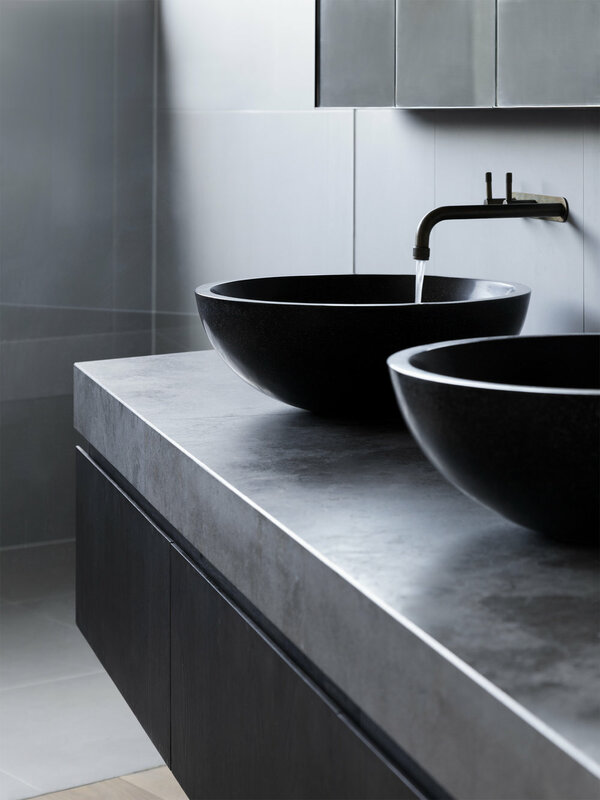 Experiences of home and space therefore feel intimate and cosy as well as exuberant and expansive. 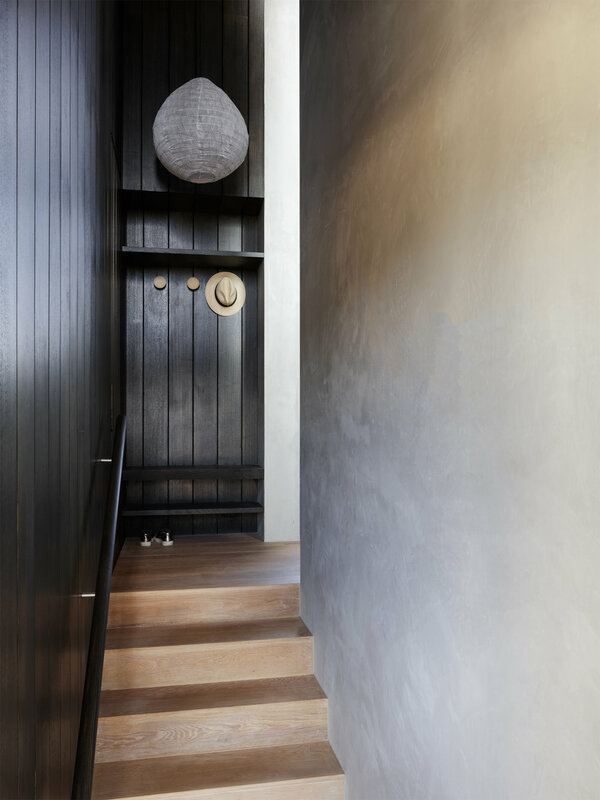 Joinery is integrated subtly throughout the home and marries seamlessly with timber wall panelling. A study is tucked in next to a large built-in bookcase in the living space and can be opened up or concealed with sliding doors that align perfectly with the wall above. 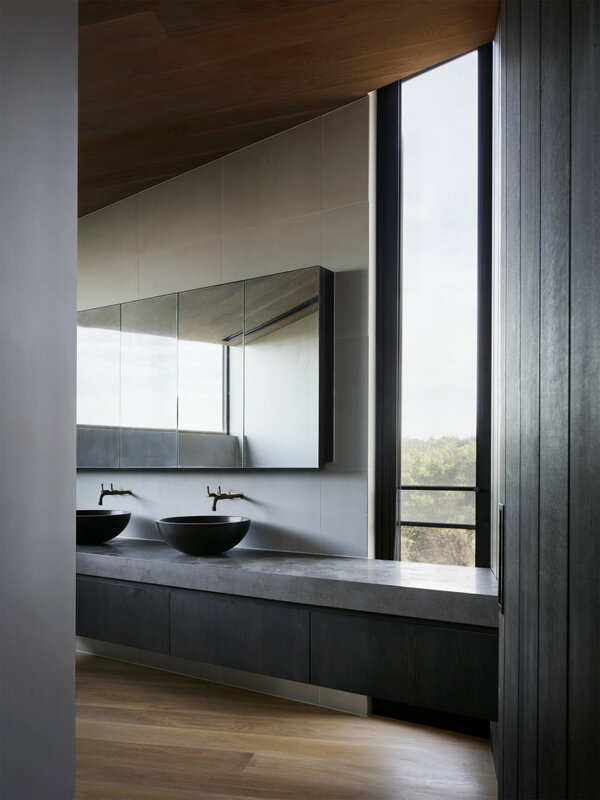 Stone and porcelain punctuate the uniform timber joinery with limestone benchtops in the kitchen, vanities in the bathrooms as well as a long low-height bench in the living space. 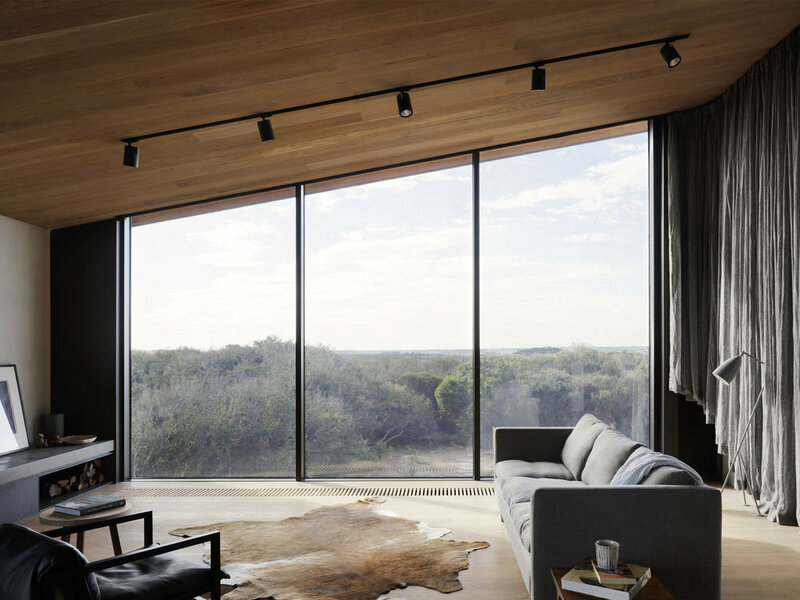 To the north, the cladding peels away to expose panoramic views of the abundant protected landscaping beyond. The northern aspect also draws warmth from the sun and allows light to flood into the living spaces. Cross flow ventilation is achieved with the integration of solid ventilation panels that can be controlled within each space ensuring views remain clear and unobstructed. 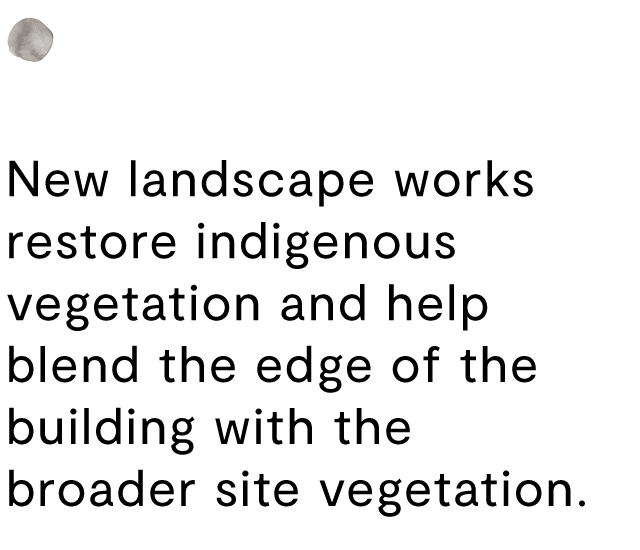 New landscape works restore indigenous vegetation and help blend the edge of the building with the broader site vegetation. The ground has been sculpted in undulating forms to reflect pre-existing conditions and a new raised pool extends out from the dwelling into the tea tree and Moonah. Selected furniture from Luke Furniture.